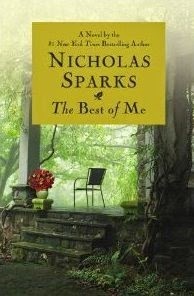 The Best of Me by Nicholas Sparks was a 4 star book for me. I'm such a glutton for punishment. I know how most of Sparks books end and I don't know why I thought he might start to change his ways. It's like those Lurlene McDaniel books about teens with cancer I used to devour and bawl my eyes out over. I did like the ultimate outcome, and it fit perfectly with the title. Synopsis: THE BEST OF ME is the heart-rending story of two small-town former high school sweethearts from opposite sides of the tracks. Now middle-aged, they've taken wildly divergent paths, but neither has lived the life they imagined . . . and neither can forget the passionate first love that forever altered their world. When they are both called back to their hometown for the funeral of the mentor who once gave them shelter, they will be forced to confront the choices each has made, and ask whether love can truly rewrite the past. Down to You by M. Leighton was a 4 star book but a GREAT one. I'm not sure why it wasn't 5 stars but I have to go with my first rating. I got the last two for CHEAP at BAM and ordered this one from Amazon used. Synopsis: The scorching tale of one girl, two brothers and a love triangle…that’s not. Olivia Townsend is nothing special. She’s just a girl working her way through college so she can return home to help her father run his business. She’s determined not to be the second woman in his life to abandon him, even if it means putting her own life on hold. To Olivia, it’s clear what she must do. Plain and simple. Black and white. But clear becomes complicated when she meets Cash and Nash Davenport. They’re brothers. Twins. Up to Me by M. Leighton is the second book in this series, but it was the only one I gave FIVE stars to. I loved everything about this book. The characters that we first met, really got to know the real person. Synopsis: For Olivia, romantic bliss has never felt so right as it does with Cash. Unpredictable, except when it comes to satisfying her desires, Cash’s bad boy reputation is well-earned, but he’s turning his life around with the one woman who accepts him for who he is. Includes a teaser from Everything for Us. 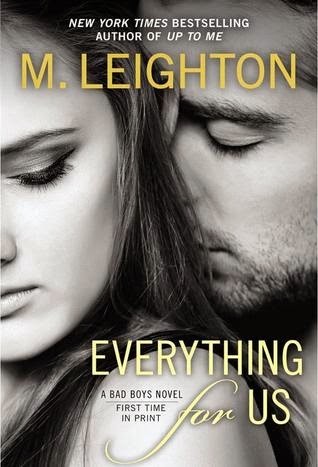 Everything for Us by M. Leighton was kind of a let down. I gave it 3.5/4 stars since it was kind of all over the place but I ended up enjoying it once I got to the end. You find out some things in the first two books that lead us to the third one and they must be read in order. This third book is also about a different couple, with glimpses into the other couple. I just loved that first love story so much that this one fell short for me. Synopsis: Olivia Townsend’s wealthy cousin Marissa had everything a girl could ask for—a great job, a privileged life, and all the friends she wanted. Or, at least, all the friends money could buy. But one case of mistaken identity has turned her privileged world upside down. 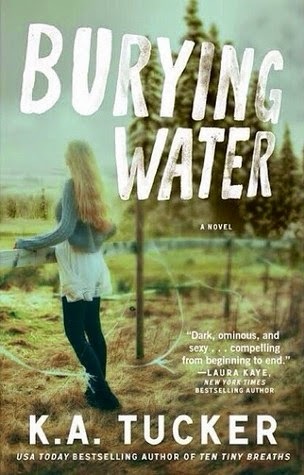 Burying Water by KA Tucker was my first experience with a K.A. Tucker book and it won't be the last! The mystery, and the revelation thought I kind of saw it coming were just enough to keep me hooked and wanting more. I loved the characters and am so excited to start her first book, Ten Tiny Breaths as part of the Winter Book Challenge I'm participating in. 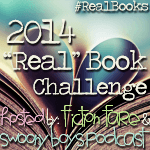 ***I was a randomly selected winner of this book on Goodreads courtesy of the Atria Indies Publishers. Synopsis: The top-selling, beloved indie author of Ten Tiny Breaths returns with a new romance about a young woman who loses her memory—and the man who knows that the only way to protect her is to stay away. OMG you guys I have sooo many books I'm reading and loving! I NEED to do a Dirty Rowdy Thing review, and maybe a Sublime or an Ugly Love one but I'm just so not comfortable reviewing unless I just word vomit everywhere and you know how I feel about vomit! I really need to read more! I've been so busy that I haven't. I tend to not read as much during the fall! That series sounds really good minus the last book. Nursing water is on my list too. Glad it was good. I gave up on Nicholas Sparks, they just end so disappointingly.